INTRODUCTIONS ARE IN ORDER - American rock & roll. It's a genre that's thrived for more than 50 years, fueled by a long line of true believers — from Buddy Holly to Tom Petty to Bruce Springsteen — with electric guitars in their hands and stages beneath their feet. Andrew Leahey & the Homestead are part of that loud, lively tradition. Led by singer, songwriter, and lead guitarist Andrew Leahey, the band makes modern music for roots-rockers and pop fans alike, mixing super-sized hooks with ringing guitar chords, Hammond organ, and stacked vocal harmonies. It's music that nods to the past while still pushing forward, finding new life in a sound that's been blasting out of car stereos ever since the invention of FM radio. Rolling Stone calls Leahey's sound 'heartland rock.' Billboard calls it 'southern-fried rock/soul.' The songwriter himself just calls it rock & roll. 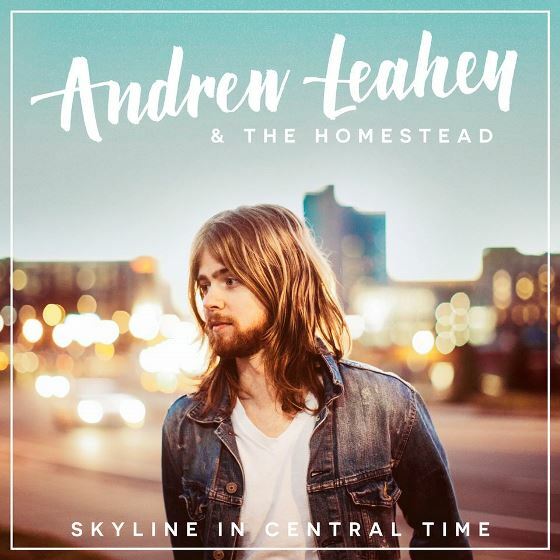 One of the people we think you're going to love the most - call it the most pleasant of surprises, Andrew Leahey is an Outlaw. Join us in New York this week. Go ahead and be bad!